Try some of our delicious home baking, made with fresh, locally sourced ingredients from our bakery, located at Hartley Fold on the outskirts of Kirkby Stephen. 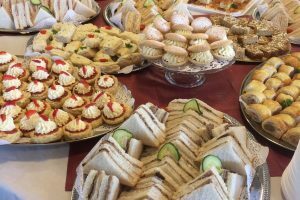 We cater for all occasions, from Celebration Buffets (large or small), hot Pie & Pea suppers, Afternoon Teas, etc., delivered to your home or to a venue, for you to serve, or we can take care of the service for you with our small team of waitresses. We are also experieced at providing Funeral Teas, tailored to your requirements, all served with care and sympathy. 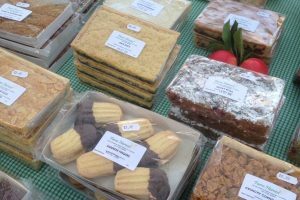 You can purchase some of our vast range of delicious cakes, traybakes, scones, quiches and pies at the local Spar shop in Kirkby Stephen, or we attend the Farmers Markets at Bernard Castle (1st Saturday each month) and Brough (3rd Saturday each month) or try our renowned pies and sausage rolls at Steadmans Butchers in the town.